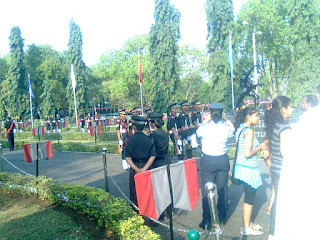 It was 17th March, 2012 warm summer early morning 4.00 am, I was rushing towards OTA-Officers Training Academy, Chennai to attend my friend's POP-Passing out Parade for his short service commission SSC(T)-36. I went into the academy with his parents as the gate pass was with them only to enter into the parade ground. The parade ground is so vast and the name of the ground was Major Parameshwaran ground. 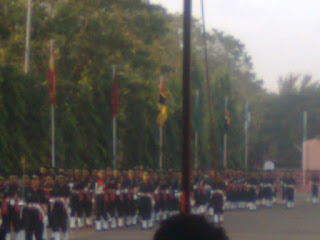 We got settled in a seat to view the parade and the parade was planned to start at 6.30 am in the morning. While waiting for the parade, I saw so many families with proud eyes to see their own son going to serve for our mother land. Faces with proudness and smiles were seen. I saw so many officers in uniform and badges. 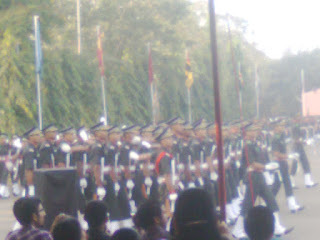 Its a different feel for a civilian to see the army officers in uniform. 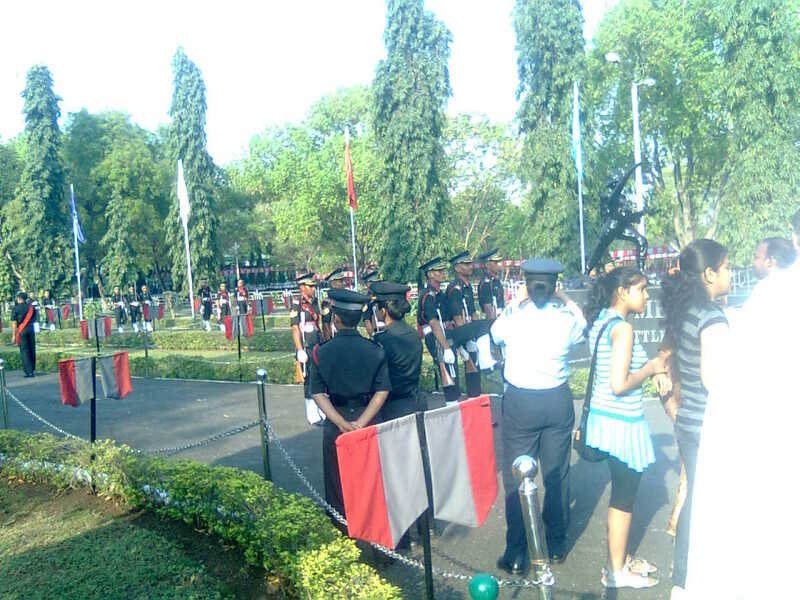 Yes, that's the time 6.30 am, the Major Parameshwaran block gate was opened and the gentlemen cadets marched towards the parade ground and occupied the respective places. 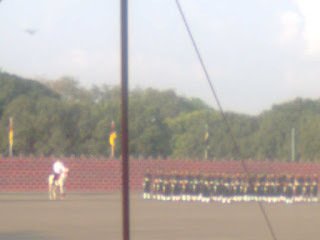 The step by step, awesome, this is the Army, they showed their mental and physical power to us through their parade that "We are here, for your tomorrow". Salute to you gentlemen. 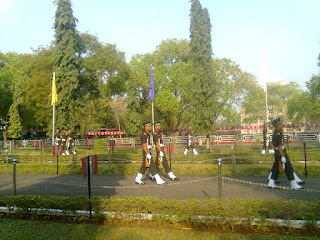 During the while, the function organizers told the history of Army and OTA. 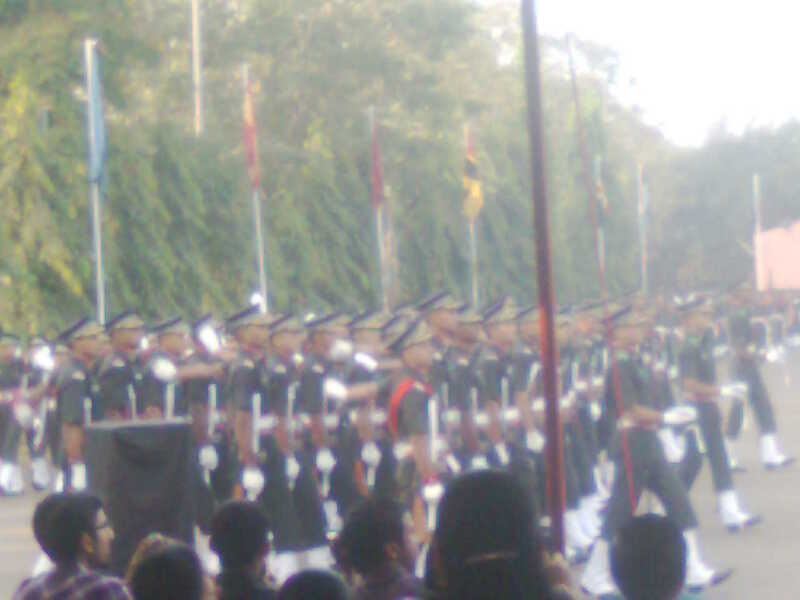 Also, awards were awarded to best cadets i.e. sword of honour and company(Different companies are there, like naushera, kohima etc). 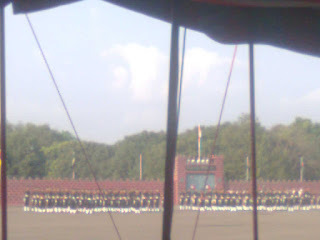 During the finishing time of parade, the cadet has to cross the final step called as "Antim Pag".While crossing this step, the flowers were showered from the Army Helicopters. i.e. After crossing this step, it is said that the gentleman cadet finishes his training successfully and he is an officer of the Army. 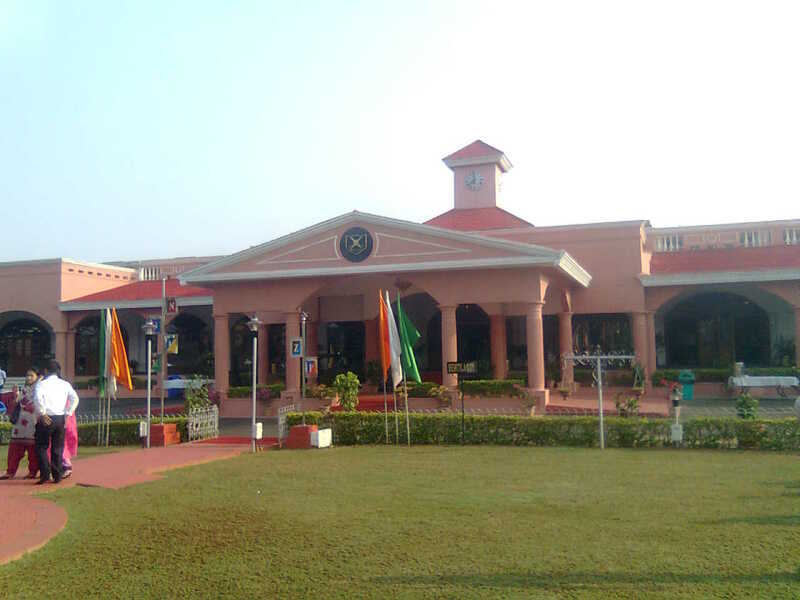 After crossing the "Antim Pag", the gentlemen cadets rush up to their barracks to return with their regimental uniform. 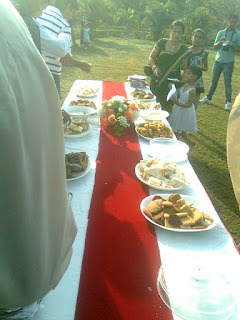 In this duration, the visitors were requested to have their break fast. It was yummy :) . After the breakfast, we were waiting and my friend came with his regimental uniform. It was awesome and now i felt that the "boy is transformed to gentlemen". After this, his parents piped and his two stars were shining in his shoulders. Now my friend is starting his glorious career in the Army as a lieutenant. After this, we took photos and he introduced his co-officers to us and the moments was so gracious. 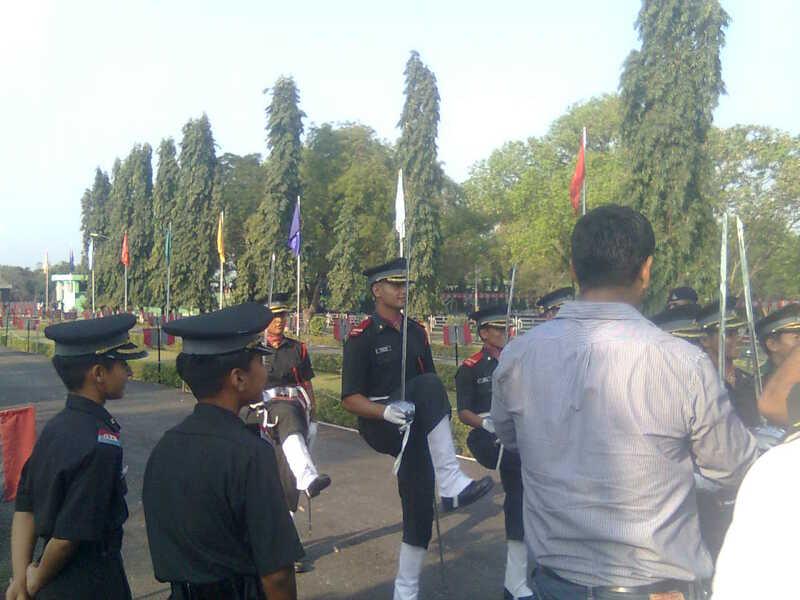 Instructors are the person who is in the rank of JCO - Junior Commissioned Officers who trains the getlemen cadets from the begining of the training for Passing Out Parade drill. 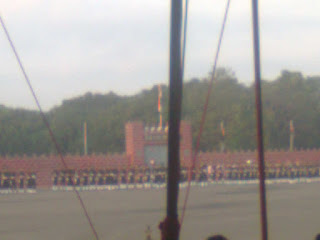 So, the newly commissioned officers thank to the instructors by giving a momento and a salute. Also, the instructors receive the same and give their salute. After this, the new officers sung the OTA song followed by the National anthem. 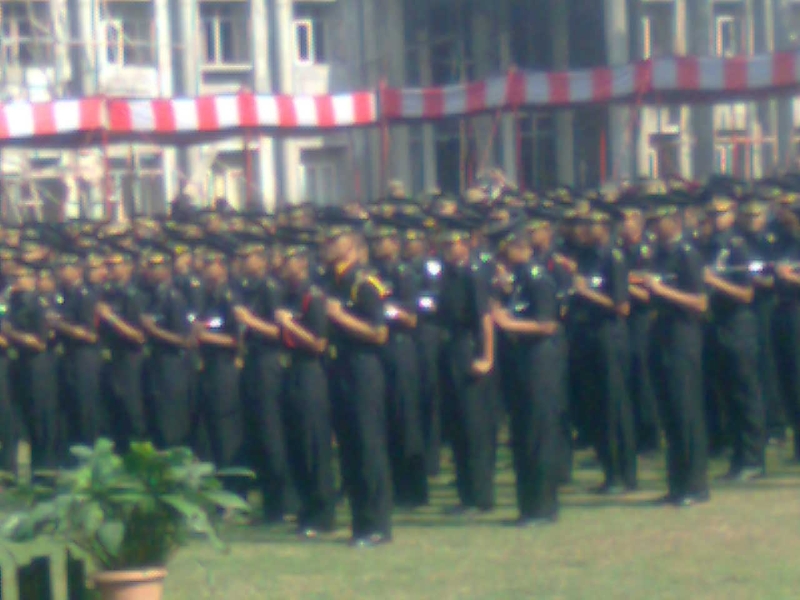 Then, they have to take oath to serve in the Army as an officer. Every moments were over, I greeted, congratulated my friend. Then returned to my home with loads of happiness. :) .I am so gifted to see this moments. What is there in life more than this :), especially for a civilian of our country. Jai Jawan. Jai Hind.